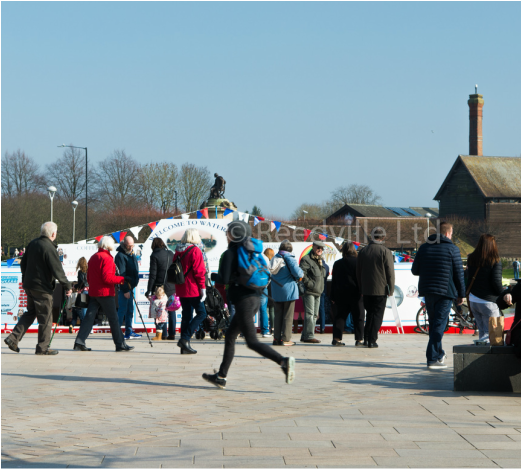 This is certainly the most beautiful, energetic and picturesque part of Stratford. It has open public areas by the water to relax and enjoy, located between the main theatres and shopping areas, being a just a 'stones throw' away from both. As well as great place to start sightseeing, there are many good options for food and refreshment. Why not try a freshly made baguette followed by coffee and ice cream, all of which can be purchased from the various canal barges that now trade as unique and imaginative food outlets. ﻿Award winning, locally produced soft ice cream. Have them with or without the Swirls! We also sell ice cold slush and a selection of hot & cold drinks. We serve the best coffee in Stratford - specially blended by a local friend and expert who has worked for some of top chefs in the UK including Rick Stein!. We also sell hot tea and a variety of snacks. ​Our baguettes are freshly baked throughout the day and all our sandwiches and baguettes are made to order from quality local ingredients. Why not try one of our Bistro Boxes or Gourmet Hot Dogs from the Captain's Menu or perhaps A Little Stowaway's Meal for the kids, including half a sandwich, raisins, juice and a packet of crisps. The only tour licensed to take you through Stratford's historic lock and on the Avon. 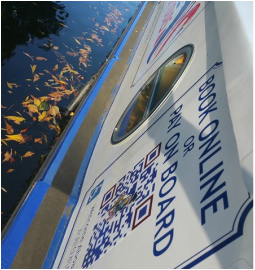 It has a wheelchair lift and baby changing facilities on board as well as a state of the art heating and window system. Bring your packed lunch from the Baguette Barge or an ice cream on board for your trip.